On a ten-acre site in the Mad River Valley of Vermont, Ben Falk is growing rice… and berry bushes, fruit and nut trees, vegetables, mushrooms and sheep. Falk has planted eight acres with 2500 plants of 250 different species, intended to provide a thriving foodscape while also enhancing the soils, hydrology, habitat and ecology of the region. 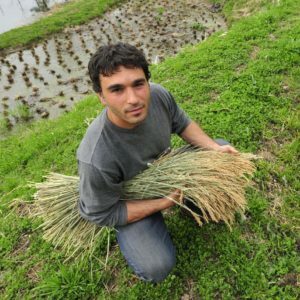 He raises rice and lamb, heats water by piping it through a compost pile, and teaches classes in permaculture design. 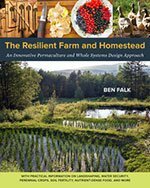 Ben’s 2013 book, The Resilient Farm and Homestead (published by Chelsea Green), summarizes his philosophy and experience. It offers practical steps for turning even the most abused and depleted site into a multilayered productive site. Founder, Whole Systems Design, LLC. Working overseas as a teacher and ecological regenerationist.